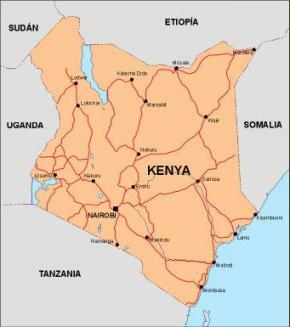 Kenya, officially known as the Republic of Kenya, is a country in East Africa that lies on the equator, with the Indian Ocean to its south-east. 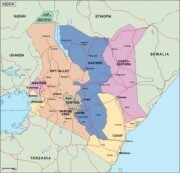 It is bordered by Tanzania to the south, Uganda to the west, South Sudan to the north-west, Ethiopia to the north and Somalia to the north-east. Kenya has a land area of 580,000 km2 and a population of nearly 41 million, representing 42 different peoples and cultures. The country is named after Mount Kenya, a significant landmark and second among Africa’s highest mountain peaks. The country’s geography is as diverse as its multi-ethnic population. It has a warm and humid climate along its coastline on the Indian Ocean which changes to wildlife-rich savannah grasslands moving inland towards the capital Nairobi. 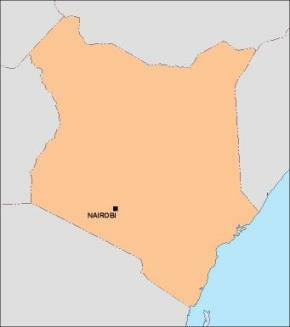 Nairobi has a cool climate that gets colder as one moves towards Mount Kenya which has three permanently snow-capped peaks. 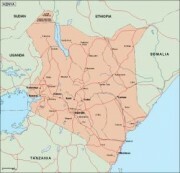 The warm and humid tropical climate is found further inland toward lake Victoria, before giving way to forested and mountainous areas in the western region. 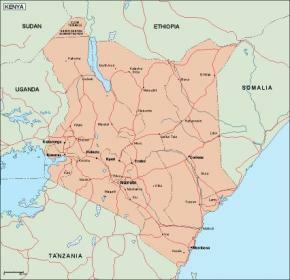 The North Eastern regions along the border with Somalia and Ethiopia are arid and semi-arid areas with near-desert landscapes. 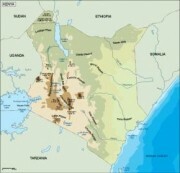 The country also has volcanic springs that put a significant amount of electricity in the national grid.